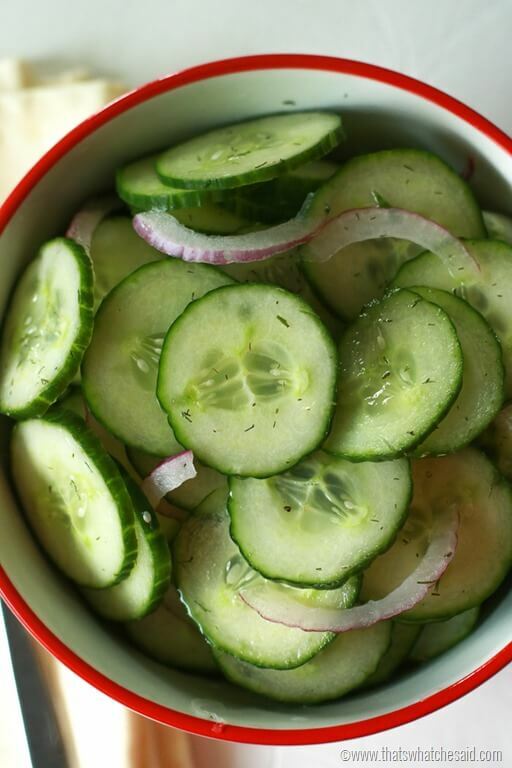 Fresh English Cucumbers in a tangy but sweet vinegar dressing with fresh dill and onions make this a perfect picnic side dish! 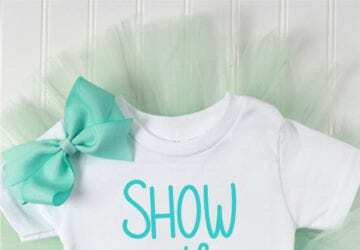 You will want to make two batches! I warned you! 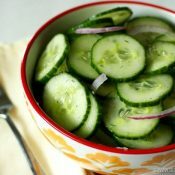 This cucumber salad picnic side dish has been an absolute favorite of mine since I was a child. My great aunt, who I call Mom, makes this dish all the time and when she does, she always saves a little dish of them for me to take home. This is normally after I have eaten every last one in the big bowl she made. They always taste so much better when she makes them! She’s magic. This simple summer salad is perfect for picnics and bbq’s because it can be left out without needing to stay chilled. The simple ingredients combined create a flavor explosion that is fresh and delicious! If you make these ahead of time, like the day before I have a few tips for you. 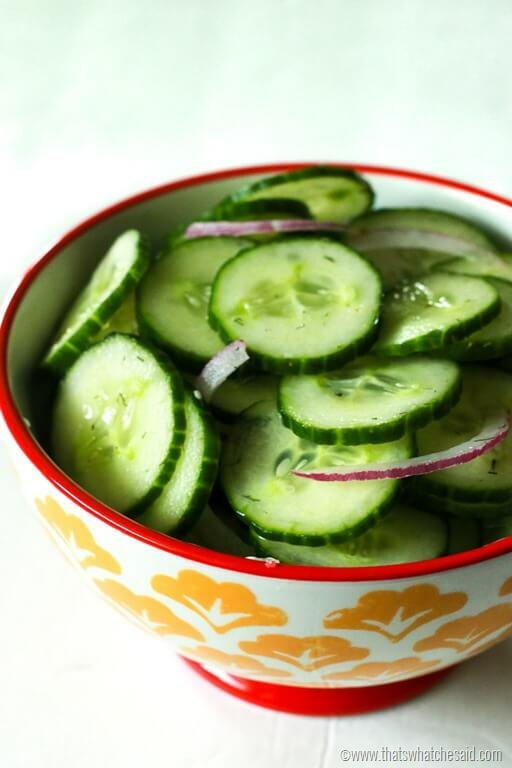 After you slice your cucumbers, lay them down on a cookie sheet or in a large colander and add salt to the tops. Let them sit like this for 30 minutes. 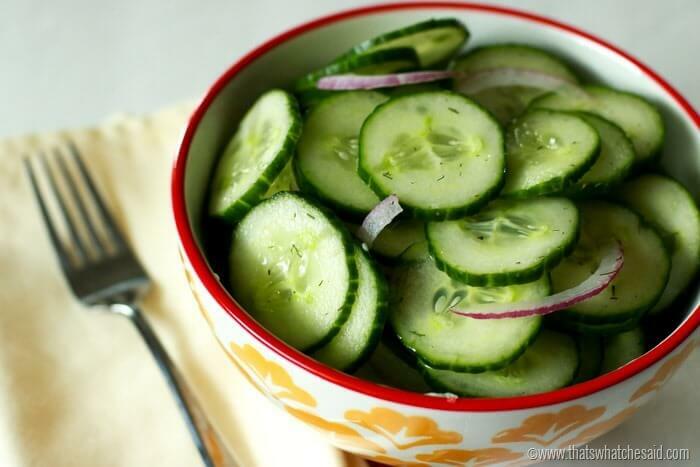 The salt will draw out some of the moisture from the cucumbers, so that your dressing does not become watered down the next day. 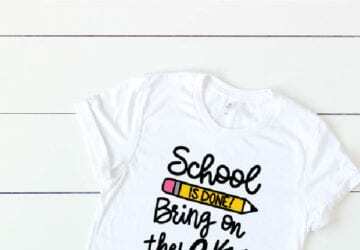 If you are making them same day, I normally skip that step because they will be gone before they have a chance to water anything down! I like to use English Cucumbers. They are the ones that come in the plastic wrapper. The skin is not as tough as regular cucumbers and the plastic wrapper means they aren’t coated with that wax. If you use regular ones, I recommend peeling them first. I slice them thin but not mandolin thin. I like them to still have a bit of bite. If you use fresh dill, use 1 full teaspoon. If using dried dill, use 1/2 teaspoon. In a medium bowl, combine vinegar, sugar and water and mix until sugar is dissolved. Add sliced cucumbers, onions and dill. Let sit in refrigerator for at least half an hour. What are some of your favorite picnic side dishes? You can also find more of my favorite side dishes and appetizers here!